Traditionally, Memphis Barbecue is served without a sauce. However, since rules are made to be broken, many Memphis BBQ Joints have sauces available, either on the side or by special order. This sauce captures the complexity of Memphis Barbecue in a rich sauce that has a mixture or sweet and vinegar with a hint of heat. 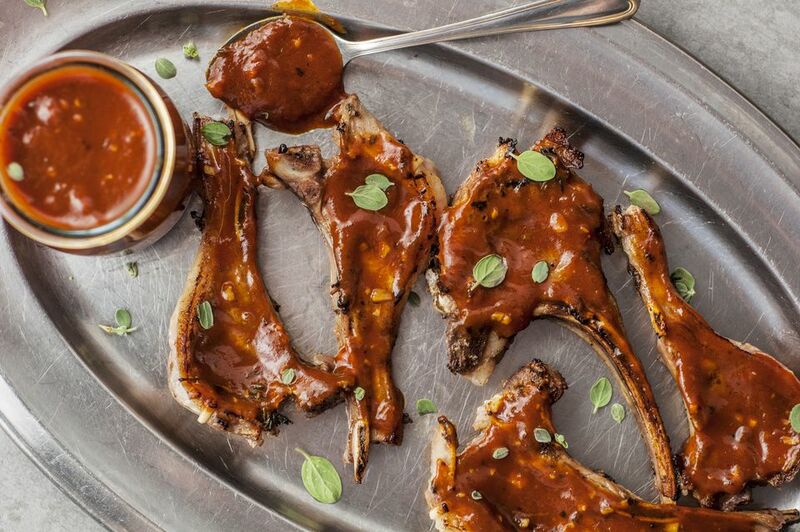 A good Memphis Barbecue sauce is thinner than most tomato-based sauces. Melt butter in a saucepan over a medium heat. Add onion and sauté for 2 to 3 minutes, stirring occasionally. Add garlic and cook for 15 to 20 seconds or until it becomes fragrant. Do not let the garlic burn or it will cause the sauce to become bitter. Add remaining ingredients (vinegar last), reduce heat and simmer over low for 12 to 15 minutes. Stir every so often. Remove sauce from heat and let cool for 20 minutes. To rewarm sauce, microwave for 30 seconds at a time until it reaches room temperature. Serve on the side. Use sauce on any meats and vegetables. This can be served as a side sauce or table sauce.